The Arctic Circle Trail is the most famous hiking trail in Greenland. It connects Kangerlussuaq with its international airport close to the inland ice and Sisimiut at the west coast, with about 5500 inhabitants being the second largest city in Greenland. The trail is about 160-170 km long and starts in Kellyville, a very tiny village about 15 km west of Kangerlussuaq. Leaving the last signs of civilisation behind, you enter an fantastic adventure with widely untouched nature and lots of unforgettable moments. Every now and then you can find shelter in one of the huts, which can be used by hikers for free. As there is no chance to buy any food on the way, keep in mind to carry everything with you for the complete tour! If you do the ACT in winter, you can do it with a dog-sled, snow-mobile, country-skis or off-road-vehicles. Depending on your equipment and condition you will need between one day (if using offraod-vehicle) and several days when going with skis or sled. The final box might be hard to find during winter time due to lots of snow. First of all, I would like to thank kalakgl who is taking care of the cache in case of any maintenance becomes necessary. I am really happy that we met him and his fantastic family during our stay in Greenland. 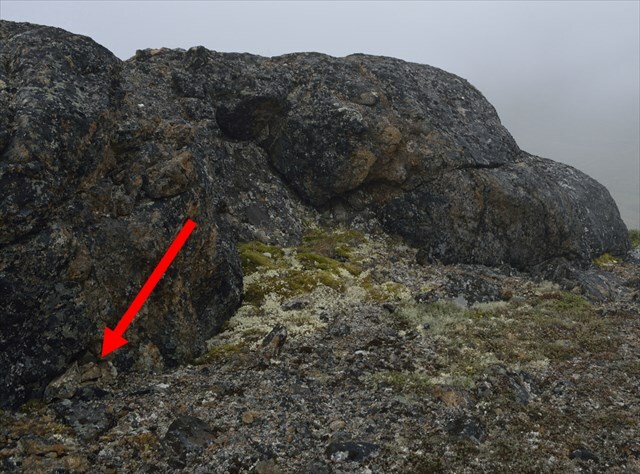 The cache is located in the area of Sisimiut and you can easily log it when hiking the ACT from Kangerlussuaq to Sisimiut. If you walk the other direction, you should have a look at this cache! ps: By the way, I forgot to put the pencil into the box. Please bring one along and feel free to put it into the final container.